Design and develop applications in support of the Vanderbilt Institute for Clinical and Translational Research. Our goal is to transform the way ideas and research discoveries make their way from origin to patient care by simplifying process and making it easier for researchers and patients to focus on what is important. Expanded TrialsToday.org, an application to facilitate the discovery of clinical trials by volunteers, to be multi-tenant and provide results localized to those themes based on institutional rules. Developed message queuing and logging bundle to handle templating and batch sending of emails, as well as recovery in the event of gateway failure. Develop, implement, upgrade and enhance new and existing web based systems at all levels of the stack (including front-end JS/HTML/CSS, server-side .NET/PHP, and database schema and proc development) and maintain the web infrastructure for Dartmouth-Hitchcock, an academic medical center. Interact with customers to understand scope and develop requirements. Serve as a mentor and technical resource for junior engineers in understanding and problem solving. Lead engineer on Legion, a C#-based homegrown Web Services API Rapid-Development Framework, which powers the new web infrastructure at Dartmouth-Hitchcock. Created various services leveraging this framework to support the development of mission-critical applications. Also developed services to provide centralized integration for applications to third party systems and APIs including: Twilio, AtTask, CECity, and Exchange. 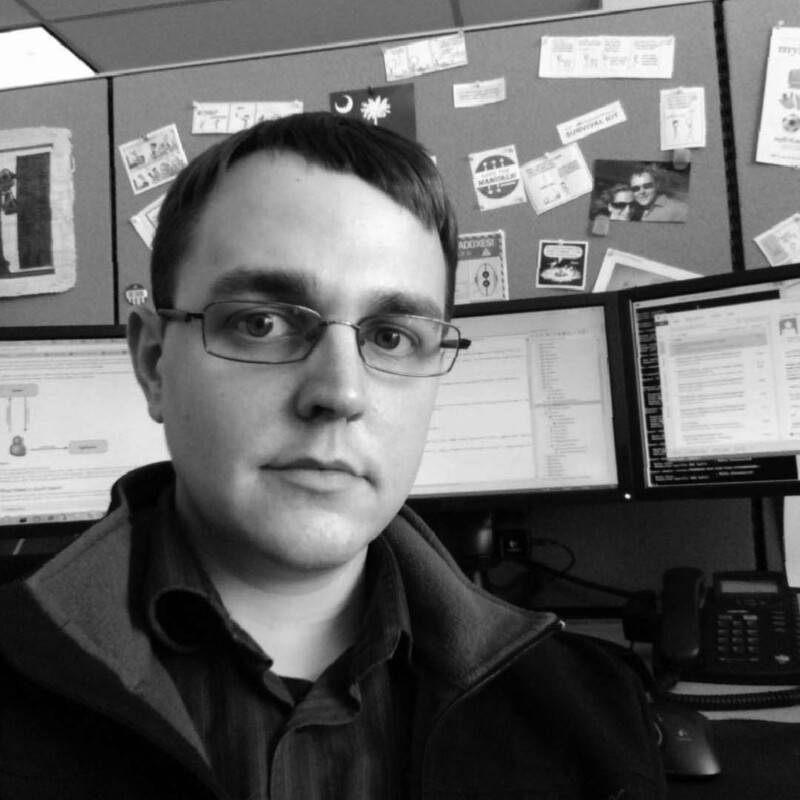 Co-lead engineer on myD-H v3.0, a patient portal application. Version 3.0 involved redesigning the application to move away from a monolithic design style to a microservices style. Primary responsibilities included architectural design of core libraries and web services integration, as well as the design and implementation of several new supporting services such as messaging and SSO. Designed and implemented a Windows services management platform to allow rapid development, centralized management, and deployment of services across the entire web infrastructure. Designed and implemented a web application to replace paper emergency equipment inventory system which has subsequently increased Dartmouth-Hitchcock's JCAHO compliance from <50% to 99.9%. Develop, implement, upgrade and enhance new and existing web based systems at all levels of the stack (including front-end JS/HTML/CSS, server-side .NET/PHP, and database schema and proc development) and maintain the web infrastructure for Dartmouth-Hitchcock, an academic medical center. Designed and developed myD-H, an online patient portal, to support the organizational transition from GE's Patient Online to Epic's MyChart. Along with two other team members, wrote functionality to convert three disparate legacy user bases on-the-fly into a single SSO layer integrating the five new systems comprising myD-H. Designed and developed shared logging service to centrally collect events and exceptions from homegrown applications. Migrated Employee Report of Injury application (an application for reporting and tracking on-the-job injuries) from Classic ASP to .NET. Upgraded internal web-based employee phonebook to include relevancy sorting on partial queries. 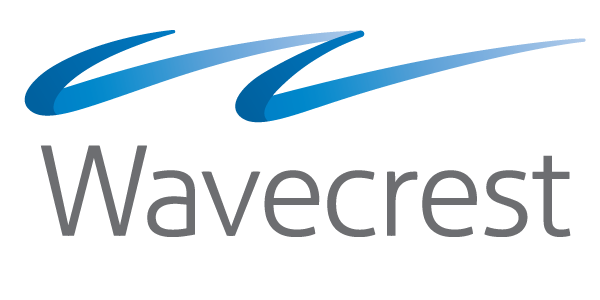 Responsible for developing and testing various Java applications on Linux and Windows systems for Wavecrest, a web-access security and web-usage forensic solutions provider. Designed caching module for Wavecrest's CyBlock Proxy product. Designed charting frontend to display graphical histories and representations of statistical data. Designed and implemented a database backend for several products which will be included in the next major release. 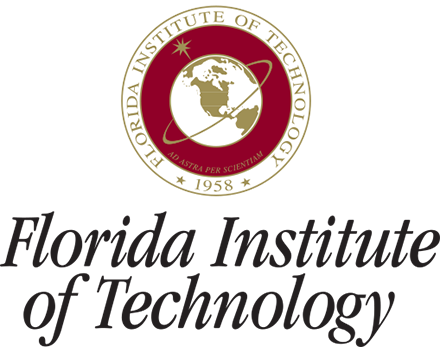 Responsible for designing and maintaining the Computer Sciences departmental website and constructing various web applications as required by faculty and departmental needs. Designed a multi-department website which allows student access to and automatically assigns keys for Microsoft's MSDN Alliance software. Developed the department's modular "Portal" site which allows students to access a customizable homepage displaying various departmental info such as faculty office hours, department news and others. Designed generic web-based database system that allows for the dynamic creation of information gathering and maintenance applications. Winner of the 2009 Northrop Grumman Student Design Showcase at Florida Tech - Computer Science for the mEYEtrak project, a mobile device based social networking application (http://meyetrak.com). Thousands of organizations across the country are looking for people like you to take part in research studies. Whether you are looking for treatment, or want to help out with research that will improve treatment, diagnosis, and prevention, there are studies that need you! We made a quick way to search the thousands of studies available on ClinicalTrials.gov. By answering a few short questions, we can help you find a list of studies that may interest you. Designed and implemented patient front-end including integration with Epic MyChart's front-end. Designed and implemented component to convert users on-demand from legacy patient portal system. Developed single-sign-on layer to integrate the multiple disparate systems that now comprise myD-H.
How many times have you run into a friend and through conversation realized that you had been in the same place at the same time, but managed to not cross paths? It's happened to us more than once. Imagine being able to receive alerts on your mobile phone when friends are in the area, being able to send or request an exact location to meet, and being able to hook up with an old buddy without the headache of planning. This technology would enable you to stay in touch with more people in the most convenient way possible. Designed and implemented server side architecture and communications protocols. What’s greater than infinity? 2^1024 of course!